These articles, over thirty in total, reflect the best and latest thought in the exciting field of economic sociology. 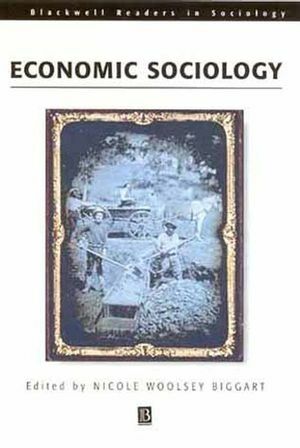 Beginning with the foundation of Smith, Marx, Engels and Polanyi, the volume gathers some of the best writings by economic sociologists that consider national and world economies as both products and influences of society. Contains over twenty articles by classical and contemporary economic social theorists. Covers important topics on economic action, states, and markets. Includes insightful editorial introductions and further reading suggestions. Nicole Woolsey Biggart is Professor of Management and Sociology at the University of California at Davis. She is the author of Charismatic Capitalism: Direct Selling Organizations in America (1989), and co-author (with Gary G. Hamilton and Marco Orrù) of The Economic Organization of East Asian Capitalism (1996). 10. Weber's Last Theory of capitalism (Randall Collins). 11. Markets as Politics: A Political-Culture Approach to Market Institutions (Neil Fligstein).